• الموضوع : Dr Mohamad Ali El Husseini from the Jewish Museum in Brussels said: Communication and acquaintance with the other divine commandment . 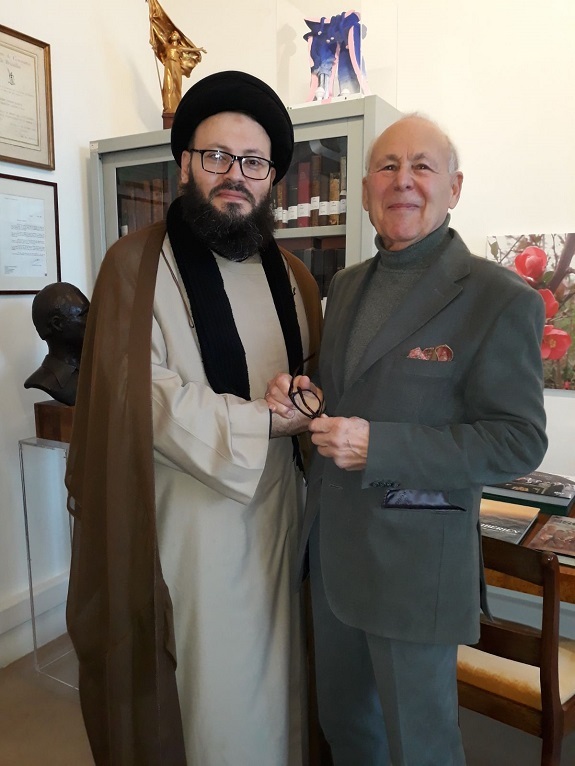 Dr. Mohamad Ali El Husseini, visited the Jewish Museum in Brussels and toured its halls and offices and expressed its admiration for its rich contents. El Husseini said in a statement after the visit that the identification of human beings, including the identity of the followers of the heavenly religions, the first of which Jewish, is good and positive. It is important and necessary for many reasons, because it brings us closer to them. Cooperation is easier. On the other hand, the distance from the followers of different religions is very negative, because it puts us in the darkness of ignorance which is one of the keys to evils, such as exclusion, isolation and closure, and up to hostility and fighting. 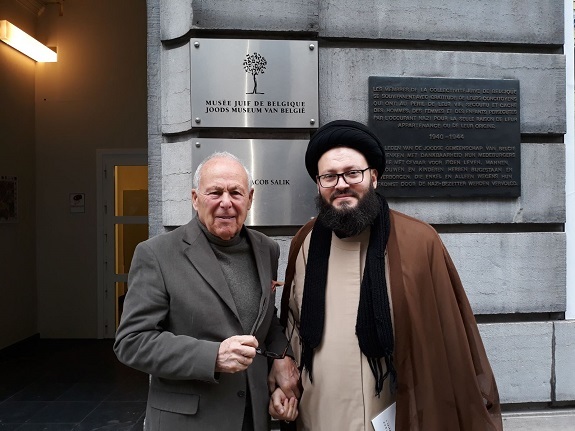 El Husseini confirmed that his visit to the Jewish Museum in Brussels comes from the door of knowledge recommended by the Almighty: "O people, we have created you from male and female, and made you peoples and tribes to know each other." This is a divine word for all kinds of communication between people: knowledge and culture.